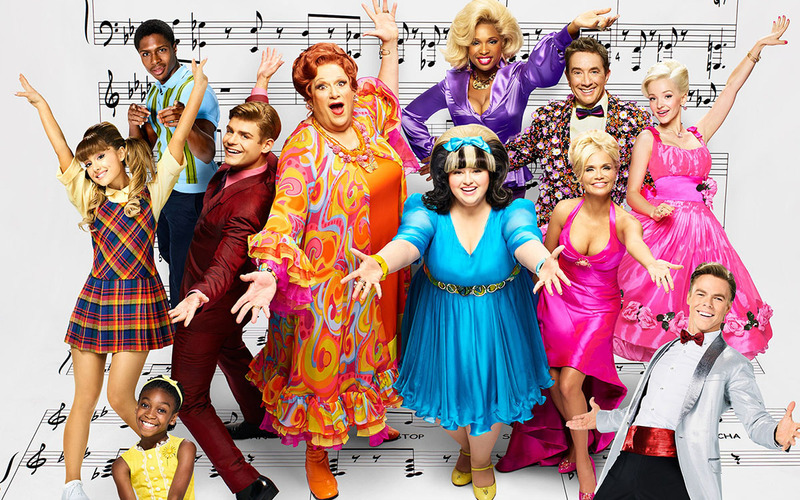 Tonight at 8/7 central NBC will broadcast Hairspray Live!, the latest in a string of live television musical extravaganzas. It may seem like this is just “more of the same” and a trendy fad, but forget Fox’s Grease and Carrie Underwood’s Sound of Music… I’m here to tell you that this is three hours of live television you’re not going to want to miss. Hairspray was originally a 1988 John Waters film that was turned into a Broadway musical in 2002 then a musical film in 2007. It takes place in 1962 Baltimore and, while it primarily deals with the early Civil Rights movement and desegregation, it also touches on racial reconciliation, implicit bias, cultural appropriation, and female empowerment. Do these themes sound familiar? With everything currently happening in the United States around race issues, the #BlackLivesMatter movement, and all the insular opinions debating these issues, this is a story that is begging to be told in a way that can connect with audiences across a range of backgrounds. In many ways, Hairspray Live! subtly accomplishes this and gets the conversation going, contrasting cultural insensitivity and misunderstandings with flat out stubborn racism, showing a spectrum of different attitudes and appropriate ways to engage depending on where someone is coming from. As I said before, Hairspray has already been done as a film, Broadway Musical, and musical film. Hairspray Live! blends all of these incarnations together through some clever cameos that will amuse fans of the classic as well as contemporary IMDB nerds alike. Ricki Lake, who played the lead role of Tracy Turnblad in the 1988 film and Marissa Jaret Winokur, who played Tracy in the 2002 Broadway musical will show up in cameos. The “Dynamites” trio from the original Broadway musical also show up and give some nice continuity along with Harvey Fierstein reprising the role he originated on Broadway, Edna Turnblad. All respect to Marissa Jaret Winokur, Ricki Lake, and the 2007 film’s Nikki Blonsky, but 2016’s Tracy Turnblad, Maddie Baillio – who wasn’t even born when the first film came out – slips into Tracy’s shoes like they were cobbled exclusively for her. Her singing voice is on fleek, her vocal flairs are charming yet not overdone, and she seems brings a natural innocence and determination to the role that will instantly bond the audience to the character’s struggles and joys. I defy you to watch Hairspray Live! and not walk away slightly in love with this little charmer. With Maddie Baillio owning the role so completely, like me, you might marvel at the irony that she is the “unknown” and all the other leads are A-listers in their own right. Her star shines so bright, it seems like the opposite is true and you will want to be able to say you were there when Maddie Baillio made her big debut. And Maddie Baillio is just the tip of the iceberg when it comes to smart casting choices. Scene stealer Harvey Fierstein will make you forget that anyone else ever played Edna Turnblad (personally, I’d just as soon forget Travolta’s turn, sorry John). The chemistry between Fierstein and Martin Short, who never ceases to delight, will leave you with a big ol’ grin on your face. Speaking of chemistry, Kristin Chenoweth and Dove Cameron who play mother/daughter Velma and Amber Von Tussle, bring some of that Descendants mother/daughter magic they developed over at Disney. Jennifer Hudson owns it as Motormouth Maybelle, although I was initially very skeptical that she would be too young for the role. Ephriam Sykes, who plays the role of Seaweed, will surely make you melt with his chocolate smooth voice. Derek Hough’s personality and style will make you wonder if he wasn’t just brought to us via time machine from the 1960’s. Even Rosie O’Donnell and Sean Hayes show up in delightful cameo roles that seem like they were straight up written for them. I could go on, but why should I bother? Bottom line: If you want to see some absolutely fantastic casting in already well known roles that threaten to make you forget they aren’t the originals, then check out this show. Even though Hairspray deals with some pretty heavy issues, it manages to do so in an appropriately lighthearted and fun way that won’t leave you feeling like you’re being preached at. The musical numbers are not only well written in their own right, they are a genius throwback to classic 50’s and 60’s era bubblegum pop that will have you tapping your feet and possibly even jumping up to dance. The story builds some excellent tension towards the finale and has a cheesy 60’s style last minute Brady-Bunch-style resolution that is guaranteed to delight you with its nostalgic creativity. 1. Play “Where’s Thomasina?” with me! To be honest, Hairspray Live! would not even be on my radar if it wasn’t for the lovely Thomasina Gross whom I met a couple months ago and plays one of the “Motormouth Girls” in the chorus. She is a feisty little 5’0″ girl exploding with energy and yet constantly struggling to get picked up on camera due to the awkward blocking logistics of doing a stage musical live on a multicam TV setup, so trying to spot her can be a “Where’s Waldo?” style game in it’s own right. So, play along with me and see how many times you can spot Thomasina peeking out from behind someone in an overcrowded group scene. But wait, Z-Man, I don’t know Thomasina. How am I supposed to know when I spotted her? Trust me, when you spot her, you’ll know. If all goes according to plan, Rosie O’Donnell will give her a look that could kill in what I believe is her earliest appearance. And if there is any doubt, pay attention to the 60’s themed commercials during the show and and be ready to whip your head around in a double-take when Thomasina shows up as a featured dancer in a not-so-live commercial. Previous Article The Electoral College is UnAmerican B.S.